For the past week, this enormous Buddha statue has been charming Brooklynites with its headdress made of hats, elbows made of old umbrellas and blingy necklace made of computer keyboards. 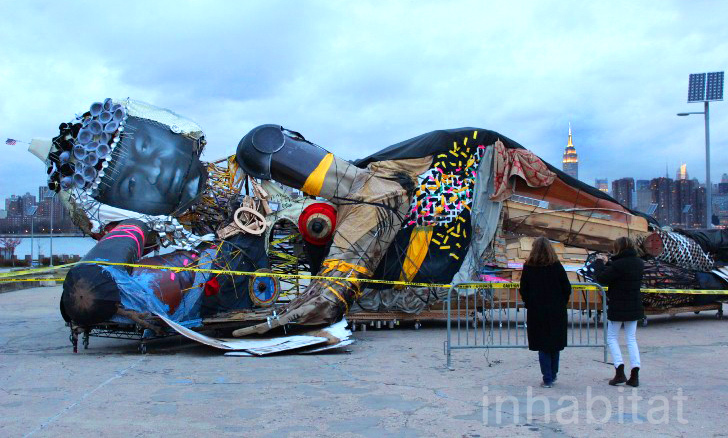 The recycled sculpture was created by artist Pawel Althamer, and was displayed on the Williamsburg waterfront as a way to raise awareness for NYC mothers facing eviction. Check out all of our photos of this captivating work here.